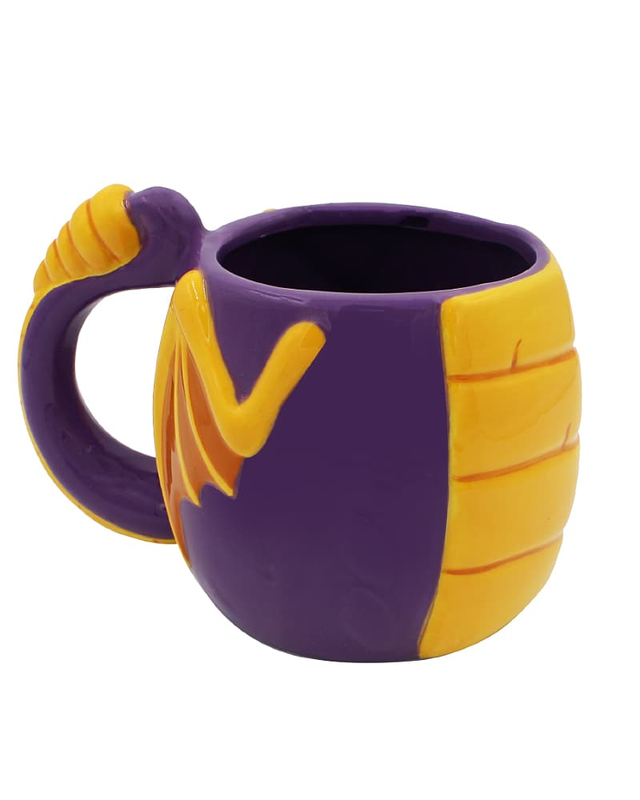 This is a high quality novelty 3D mug based on Spyro the Dragon’s body – but don’t worry, the real Spyro is totally safe. 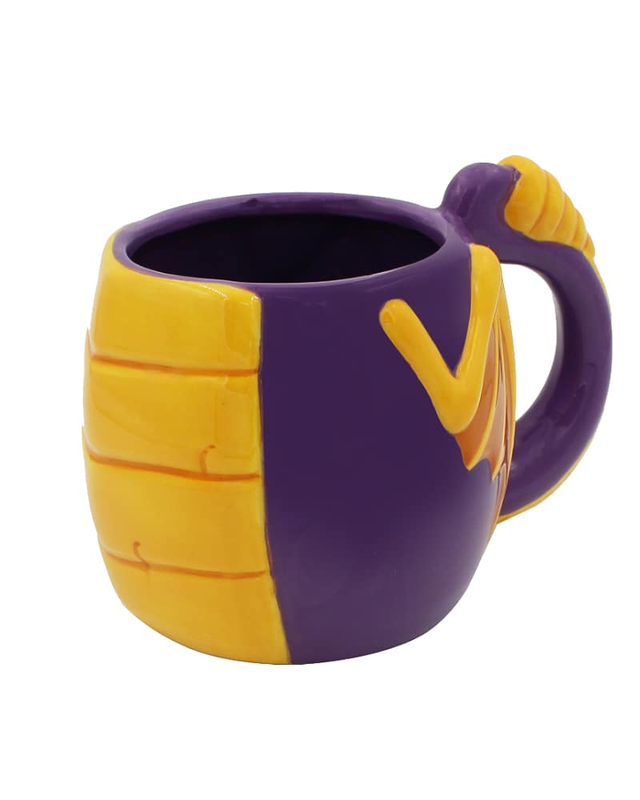 Perfect for displaying on your shelf as a fine collectible or for drinking from as an awesome mug! Official Spyro the Drago product. 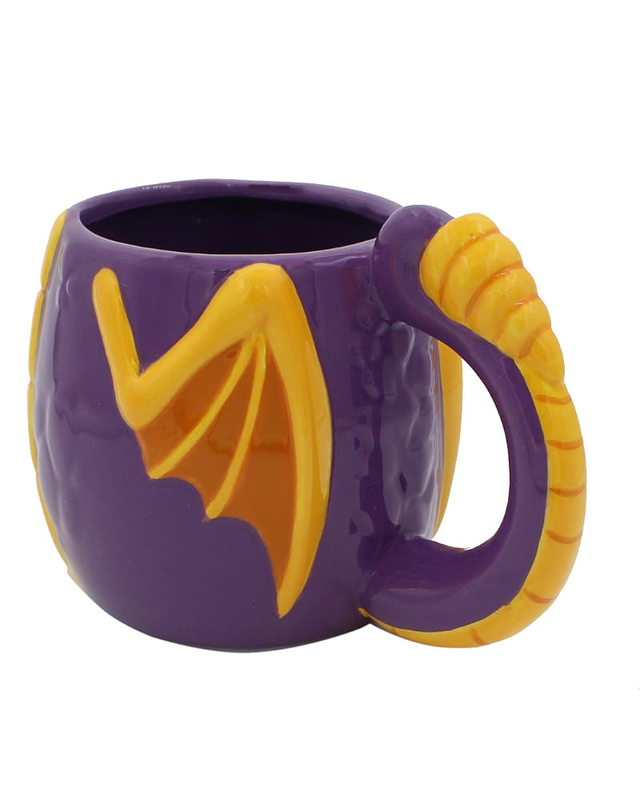 Novelty mug based on Spyro’s body. Made of premium high quality ceramic. Perfect for drinking from or displaying as a collector’s item. No dragons were harmed in the making of this mug! Size: 90mm (3.54 inches) tall.